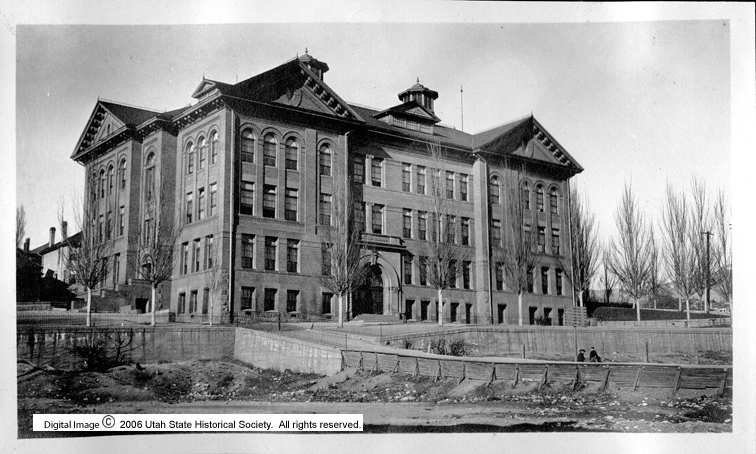 Comment All images are mounted in a photo album described as "State University of Utah, High Schools and Grade Schools of Salt Lake City, Utah"
Rights Management Digital Image (c) 2006 Utah State Historical Society. All Rights Reserved. Format Creation Images scanned with Microtek ScanMaker i900 at 800 dpi.